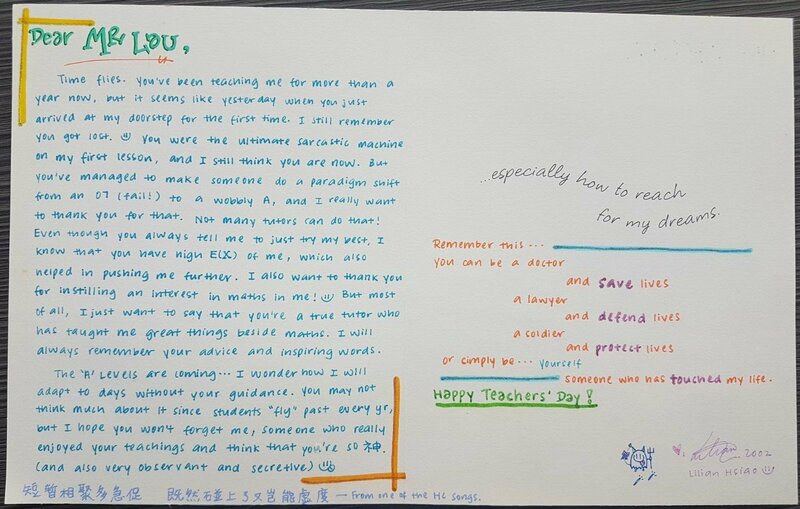 Mr Lau is a caring and patient teacher, who always believes in the potential of his students, working with them step by step to build up their foundation in Mathematics. His method of rationalizing mathematical concepts has made it easier for me to understand and apply mathematical concepts, allowing me to improve from U to A in H2 Mathematics within a year! Math improvement: from U to A in H2 Math within a year! Mr Lau, you’re a true tutor who has taught me great things beside maths. I will always remember your advice and inspiring words. Want to be coached by Mr Lau? Limited seats are still available in Mr Lau’s class. Don’t miss the chance to be coached by former Hwa Chong Institution Head-of-Department of Maths. Grab Now!!! His class size is deliberately kept small to ensure quality learning. 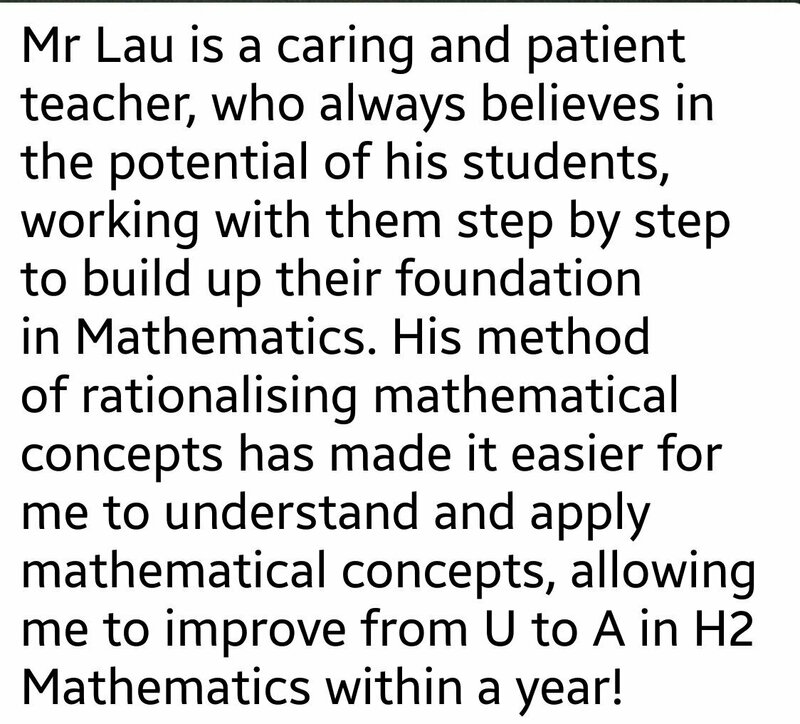 Click the link to know more about Mr Lau.